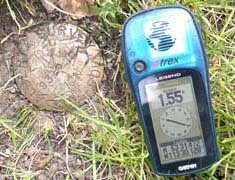 Geocaching is an internationally known activity that involves using modern Global Positioning Satellite (GPS) technology to find ‘hidden treasures’ (or caches) throughout the world. Over 2 million caches dot the world map ranging in size and difficulty. Each cache is listed at www.geocaching.com with many useful pieces of information attached. Geocaching is appropriate for people of all ages because many caches are available to be searched everywhere. Families with young children can stick to an easier trail while more adventurous folks can search for more difficult finds. Once a cache is found, there are a variety of items contained that can be exchanged for something of equal or greater value. Geocaching is a great way to go somewhere you have never gone before! Geocaching.com is where all the official caches are listed, however there are also many different places to get in touch with the geocaching community. Scouts have a geocaching badge that can be attained while many clubs and small organizations exist in communities. GPS units can be expensive so I recommend that you try it first before you invest. We here at Terrapin Adventures offer an introduction to geocaching course that teaches everything you need to know to go out on your own and be a master cacher! This entry was posted on Tuesday, March 11th, 2014 at 10:00 am. Both comments and pings are currently closed.